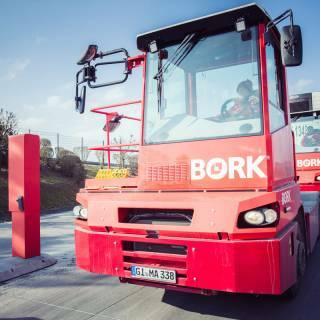 Special shunting vehicles made by MAFI are used to optimise yard logistics at various key accounts as well as at Bork itself. 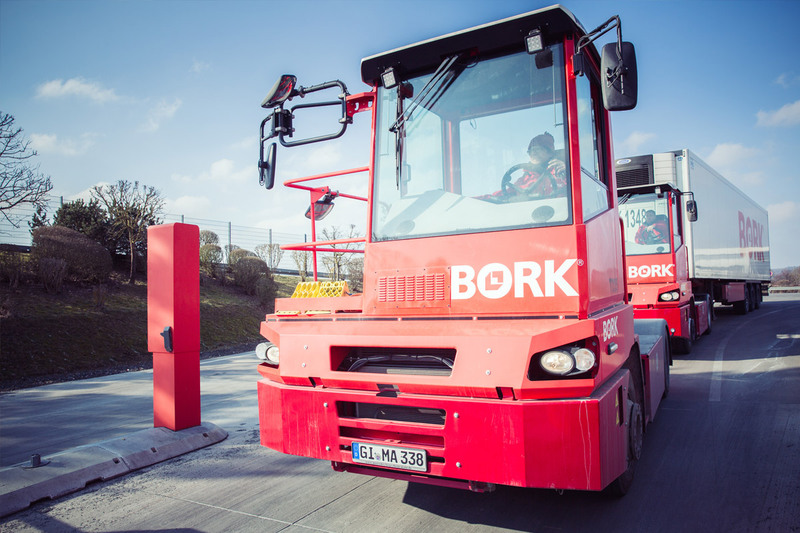 These compact, highly manoeuvrable special tractors make large tractor units superfluous when shunting trailers and speed up yard logistics significantly. 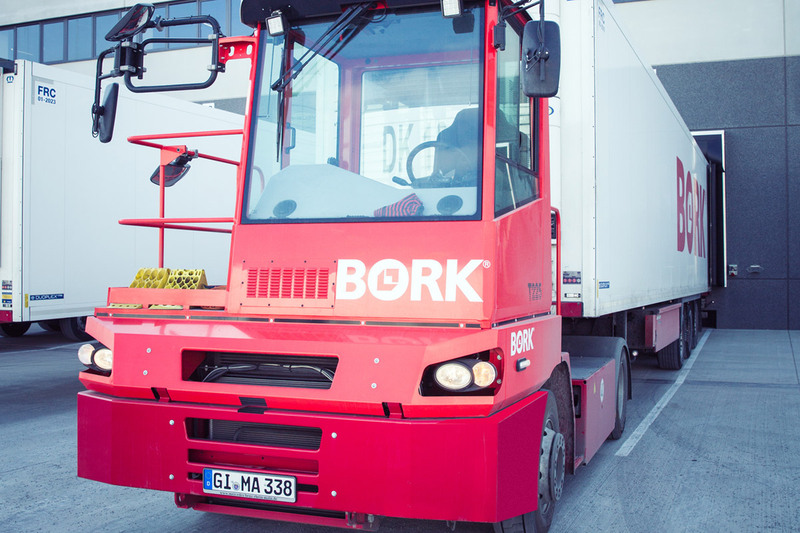 Processes can be streamlined, throughput can be increased and costs can be cut thanks to the rapid deployment of swap bodies in loading and unloading zones. 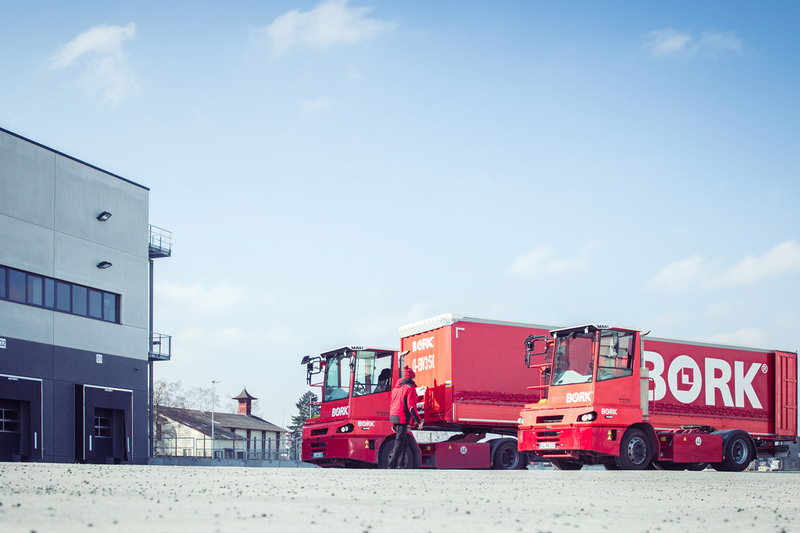 In addition, total truck downtimes are reduced because drivers can take over ready-loaded trailers immediately, without waiting times for loading and shunting. 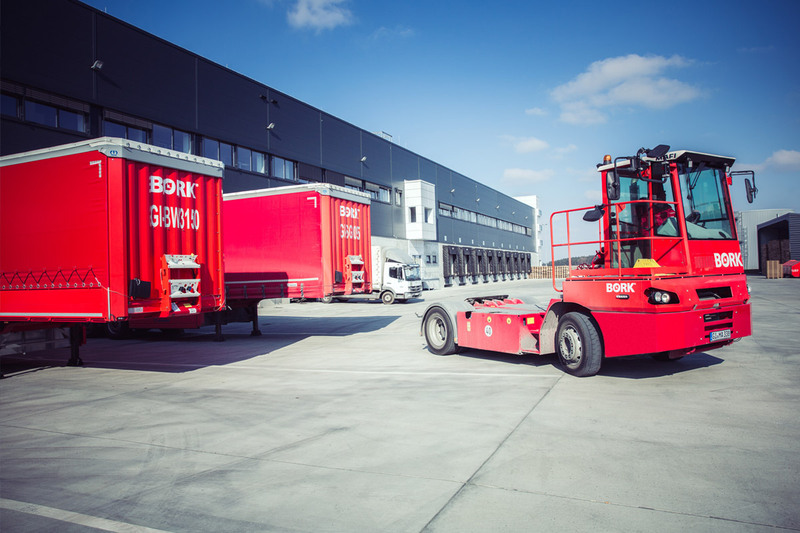 17 of these special vehicles are available for various customers and are integrated into their logistics concepts. Many well-known companies trust our expertise in the distribution of goods, merchandise and raw materials. Long-term cooperation and trusted partnerships with industries such as retail, pharmaceuticals, construction materials, food, industrial goods and automotive are a barometer of customer satisfaction for us and an incentive to keep on developing our services. By doing business in various markets for many years, we have acquired a solid understanding of the special features of individual sectors and are able to offer our customers individually tailored services and logistics concepts that help them cut costs and boost efficiency. 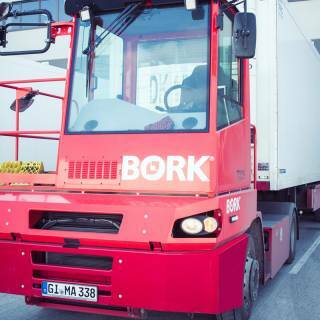 BORK warehousing covers all services connected with modern warehousing and storage organisation. 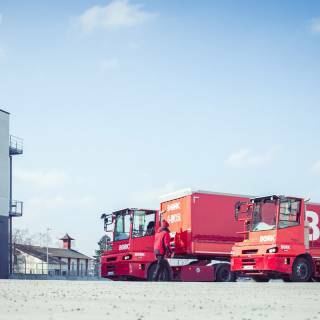 “Transporting and storing” are directly linked, that is why we offer our customers both transport and storage as a one-stop supplier. 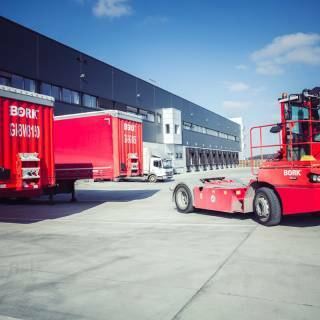 Our central location has sufficient capacity to handle more than 30,000 euro pallets in modern high-bay warehouses. Various refrigeration areas ensure technically appropriate storage of a wide range of chilled goods in temperature-monitored and temperature-controlled bays in different temperature zones. We also have areas that are suitable for storing hazardous goods. From here, your stocks are readily available throughout Germany and Europe. Thanks to our many years of experience in order picking for numerous well-known customers in a wide range of industries, your stored items are in safe hands with us.